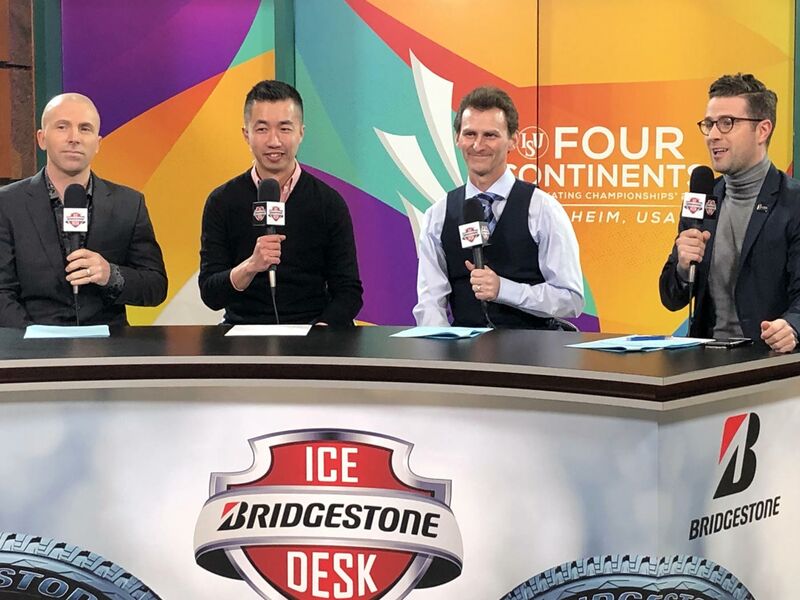 Todd Eldredge joins Michael Weiss, Jackie Wong, and Nick McCarvel on the Bridgestone Ice Desk LIVE from Honda Center in Anaheim, California to discuss the Men’s Free Skate! Broadcasted at 6:45 p.m. PT, February 9, 2019. STARTS at 52 seconds.